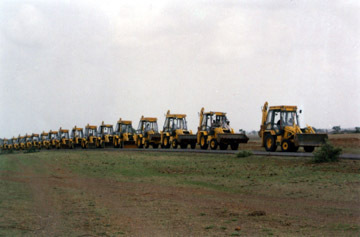 Having 40JCBs with trust using 10hrs, every day 250 days a year, 1,00,000 hrs every year. 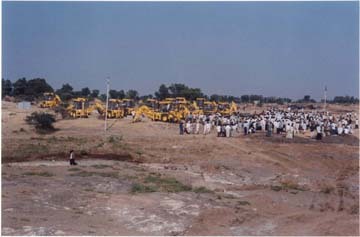 JCB machines provided by SJT . Considaing 250 tractors of earth work per hour, it excaveted nearly 25 lacs Tractor of earth every year. Since last seven years it works and creating 20 crores Rs. product every year for water harvesting only and with taking help from government.